You have been directed to this page because your support subscription is expired. Simply fill out our form or call us at 1-941-927-2670 to request pricing. What’s included with Support and Update Services? 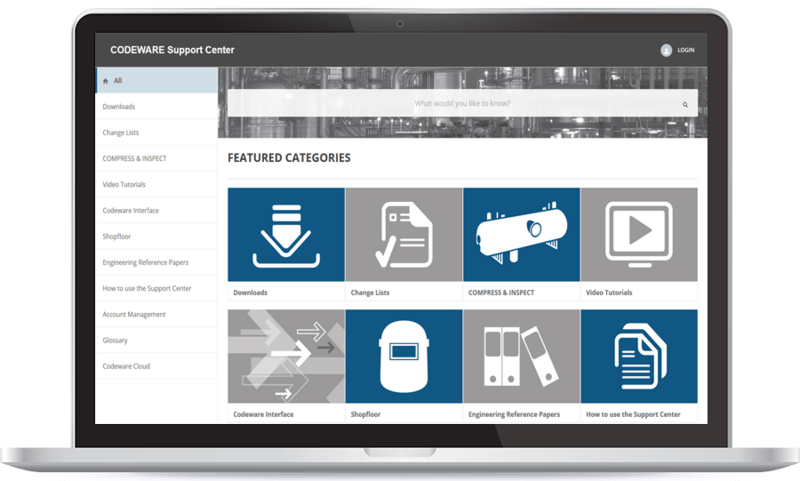 Software updates that include the latest ASME Code Edition. Access to the latest productivity enhancing software additions. See what’s new in COMPRESS and what’s new in INSPECT. Access to Codeware’s Engineering and Technical support representatives. 24 hours a day availability of the online Codeware knowledge base. Access to the Codeware Interface (CWI) add-on which transfers COMPRESS and INSPECT designs to Autodesk® Inventor® and SOLIDWORKS®. Access to the COSTER pressure vessel and heat exchanger cost estimating add-in for Excel.